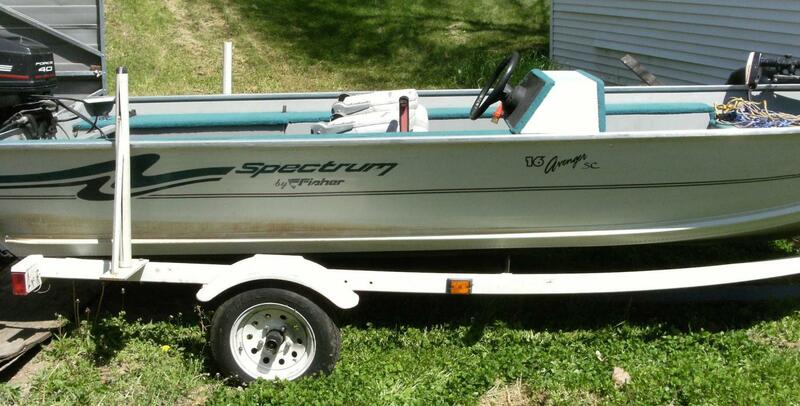 1997 Fisher Spectrum Avenger, Gas fuel, 100 miles, Length: 16, Exterior: White, Interior: Teal, Trolling Motor, Original, Fresh Water, Live Well, Trailer Aluminum hull material. flat bottom, foot control pedal. power tilt engine. garaged. Asking $3,500, Located in OMAHA NE 68112, Contact Russel at 402-657-8598 for more information. 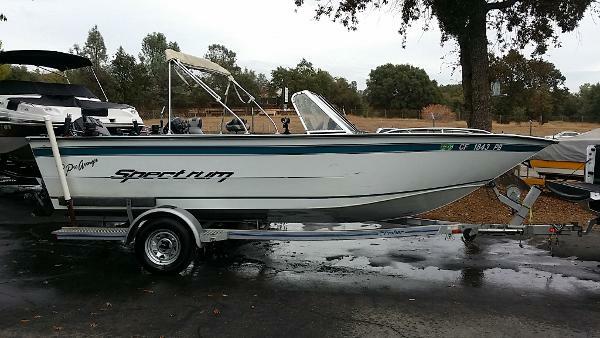 1997 Spectrum Dominator 17' by Fisher. 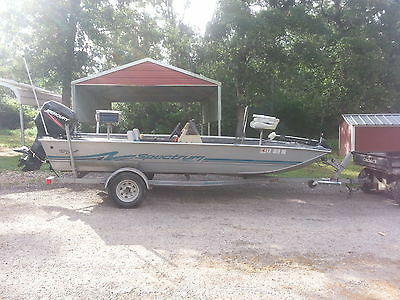 2007 Mercury 50 two stroke. 1996 Spectrum Trailer. Clean & clear title's. Transom is in great shape; no cracks, bends or rips. The trailer is in fine condition, no repair welds, all the lights work, good hitch, good tire's, straight.Tilt & trim, live well, running lights. I think it needs new batteries. I will deduct $200 off the price if it needs them, I haven't had time load test them. Hummingbird Wide Eye. Trolling motor. Runs great. Everything in working order. No welds, cracks or dents. If you want additional pictures I can email them. Will consider offers, call 512 seven3eight-one6two1.